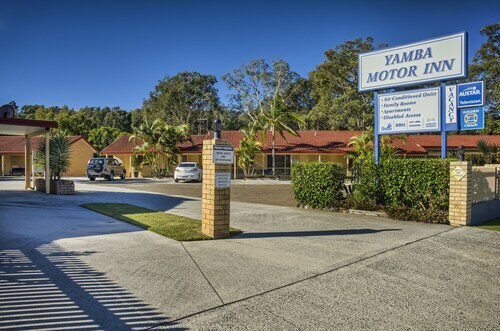 Offering direct access to the beach, this Yamba hotel is steps from Yamba Lighthouse and Yamba Beach. Turners Beach and Yamba Golf and Country Club are also within 10 minutes. 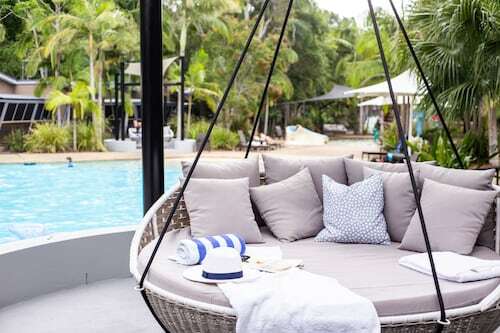 This family-friendly Yamba apartment building is within 1 mi (2 km) of Angourie Surfing Reserve and Yuraygir National Park. Yamba Beach is 2.1 mi (3.4 km) away. 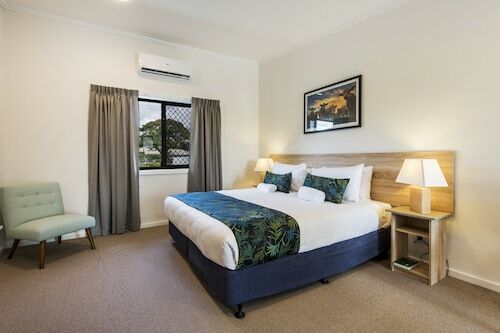 This family-friendly Yamba holiday park is located on the waterfront, within 1 mi (2 km) of Yamba Marina, Yamba Shopping Fair, and Yamba Medical Center. Yamba Beach is 2 mi (3.2 km) away. 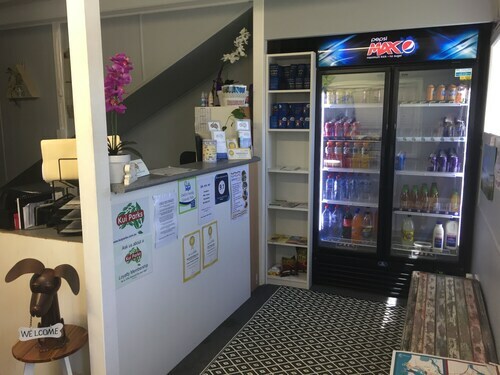 Situated in Maclean, this motel is within 9 mi (15 km) of Yuraygir National Park, Yamba Shopping Fair, and Yamba Medical Center. 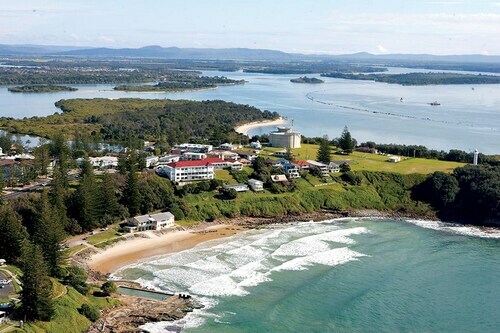 Yamba Beach and Yamba Marina are also within 12 mi (20 km). Stay in our Yamba accommodation and enjoy the tranquillity of this picturesque destination on the New South Wales North Coast. Its fantastic coastline is made up of long stretches of white sand and the Pacific Ocean, and water continues its prominence throughout Yamba with the town resting on the Southern banks of the Clarence River. Yamba’s beaches are likely to be where you spend most of your time during a stay in one of our Yamba hotels, and why not? You are on holiday after all and what better way to spend your holiday then relaxing on the sand or in the clear blue waters of the Pacific Ocean. Yamba Beach is the main beach, and is patrolled during peak season, for the avid surfer, Angourie Point provides some of the coasts best waves. The Clarence River is renowned for its excellent fishing; it is one of Yamba’s main industries. While you are staying in a Yamba hotel try your luck on the Clarence and cast a line off River St Wharf. Or head out on the water, there are plenty of hire operators in Yamba so that you can make a day of it. There is plenty to see and do in Yamba, and we have plenty of hotels in Yamba to suit your holiday budget and style. How Much is a Hotel Room in Yamba? 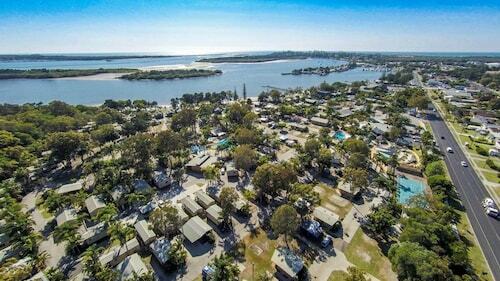 Hotels in Yamba start at AU$55 per night. Prices and availability subject to change. Additional terms may apply.